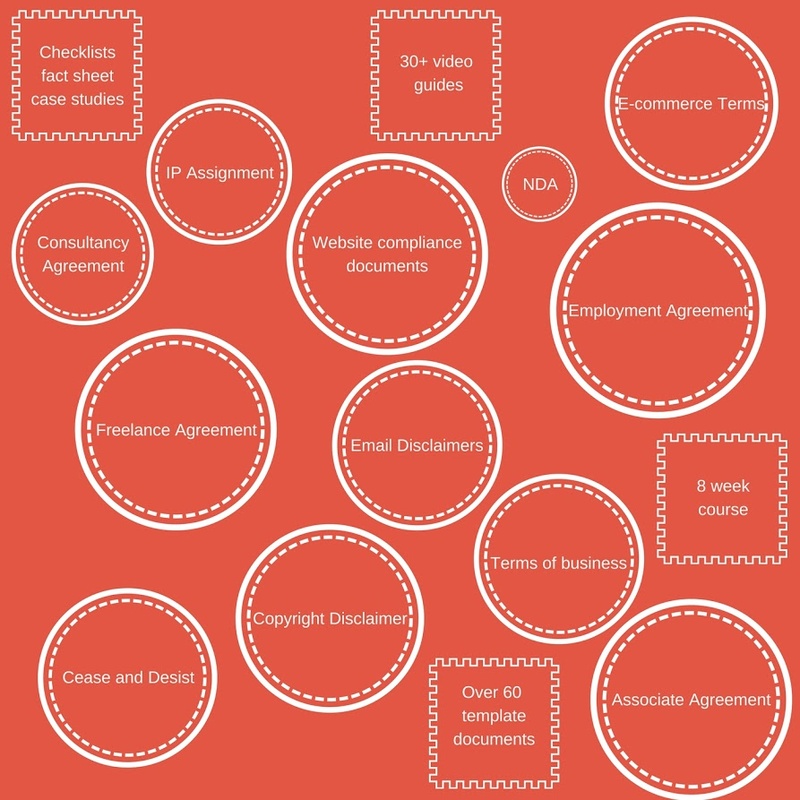 Cover Yourself Against Legal Vulnerabilities You Risk Encountering in Your Small Business! Have you got your ducks in a row when it comes to your business? Recently I recommended Suzanne Dibbles excellent GDPR pack and now Suzanne has asked me to let you know about a special promotion for her Legal Academy. If you bought the GDPR pack you will by now know just how invaluable it is and so will be delighted to get an even further discount on the Legal Academy, if you didn’t buy the GDPR pack you will be pleased to know it’s included! The Legal Academy contains over 70 templates, video guides, checklists, case studies, action plans and an 8-week email course that walks you through the most important legal issues that are likely to affect your business. Thousands of small business owners have been helped by it. These materials are primarily for people based in the UK and all of the templates are subject to English law. However, many people use the templates who are not based in the UK particularly where they have international clients, as English law is the most popular choice of international law and many of the templates in the coaching module (e.g. online programme terms and mastermind contracts) are simply not available elsewhere. You also have immediate access to over 20 checklists, over 20 video guides, over 20 factsheets, case studies, a back catalogue of monthly webinars and a Confusion Free Guide to Business Law manual – again, all of which will be hugely relevant for your business. For the rest of this week (until this Friday 26th October) Suzanne is offering the entire materials with six months of updates for 70% of the usual price, namely £197 if people have already bought the GDPR pack, or £297 if they haven’t yet bought the GDPR pack. (The materials include the GDPR pack).